One young man in NW Florida, rode a bicycle through an empty construction site. Pensacola Police Officer Jerald Ard saw the young man and pursued the bike rider in his police cruiser, attempted to fire a Taser weapon from the window of the moving cruiser, and drove the cruiser on the side walk, and against traffic, trying to knock rider off the bicycle. Eventually, the bike rider was crushed to death under the police cruiser. Read the Washington Post, Rubio’s summer of ’90: An arrest, then newfound purpose. Then read No Justice For Victor Steen. Guess which one was white. The " Flint disaster, three years in the making, is not a failure of government generally. It’s the failure of a specific governing philosophy: Snyder’s belief that government works better if run more like a business." 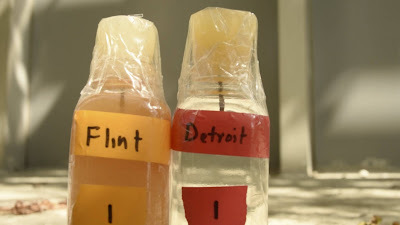 Read the Washington Post, The Flint disaster is Rick Snyder’s fault. From DemocracyNow.org, Poisoned Democracy: How an Unelected Official Contaminated Flint's Water to Save Money.